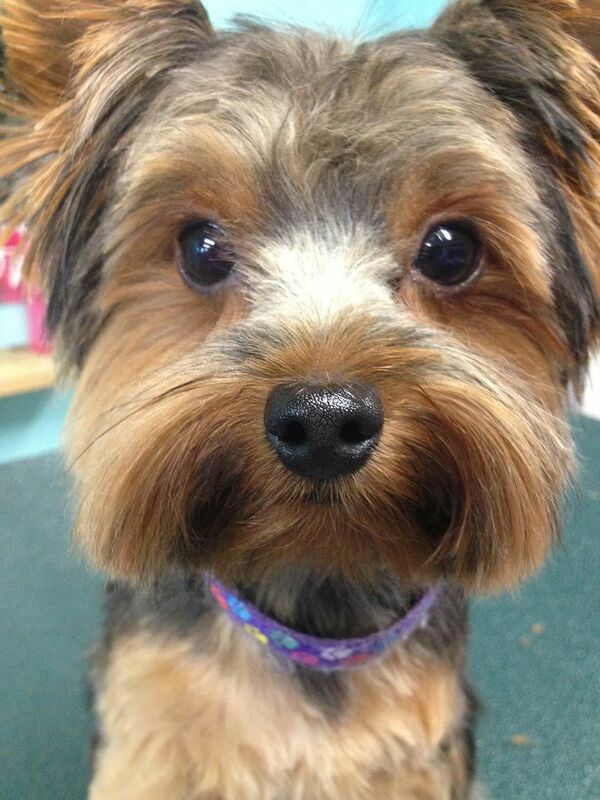 At Paw Pals Grooming in Etobicoke, we will always strive to get your pet’s haircut right! Please give us as much detail as possible and even feel free to bring in pictures. The more information we’re presented with, the better the outcome will be. 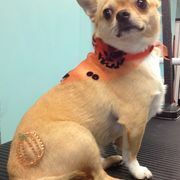 As long as your pet’s hair is in good condition, we should be able to give your pet the cut you are looking for. 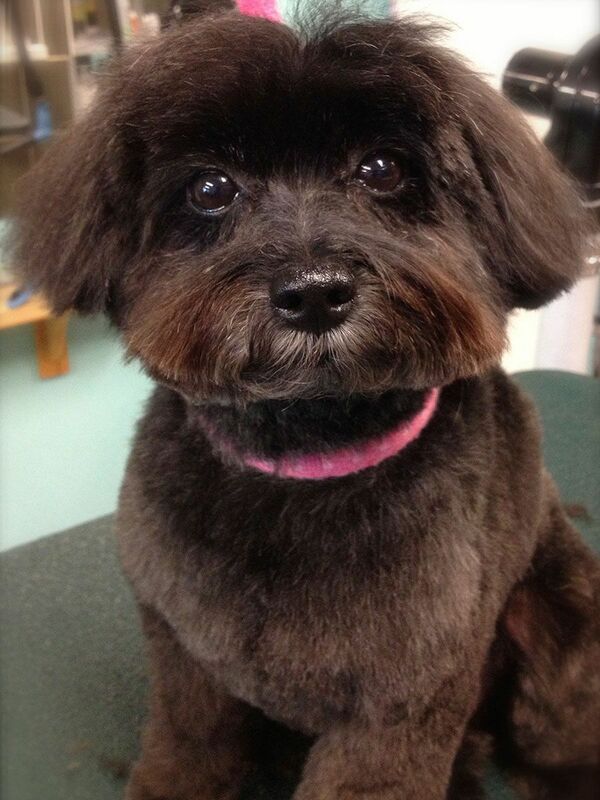 Other factors such as behaviour and/or physical disabilities may affect your pet’s haircut. 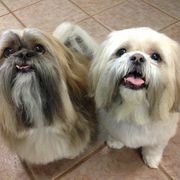 If your pet is badly matted and we are not able to brush the matted fur out, your pet may have to be clipped down short. We are animal lovers and will never put them in danger of being hurt or injured. However, we always recommend starting your pet on a grooming schedule so they can be groomed more often and not have to be shaved again. 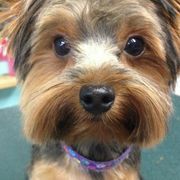 Please call us to book your pet’s next grooming appointment now! No appointment is necessary for nail clipping. We don’t like to keep you waiting, so we do suggest you give us a quick call before you come to make sure we are available. Let us know when you book your appointment if you would like us to add tooth brushing. We do ask that you bring your pet’s toothbrush. 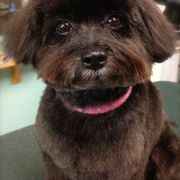 If your pet does not have a brush, we have some at the salon available for purchase. 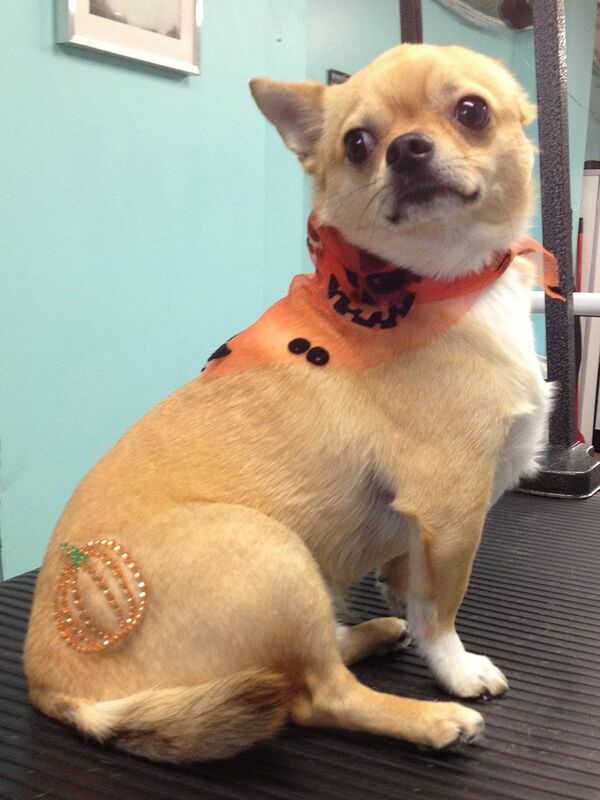 Body bling, or decorative rhinestones for your pet, is another safe and fun way to add bling to your dog. 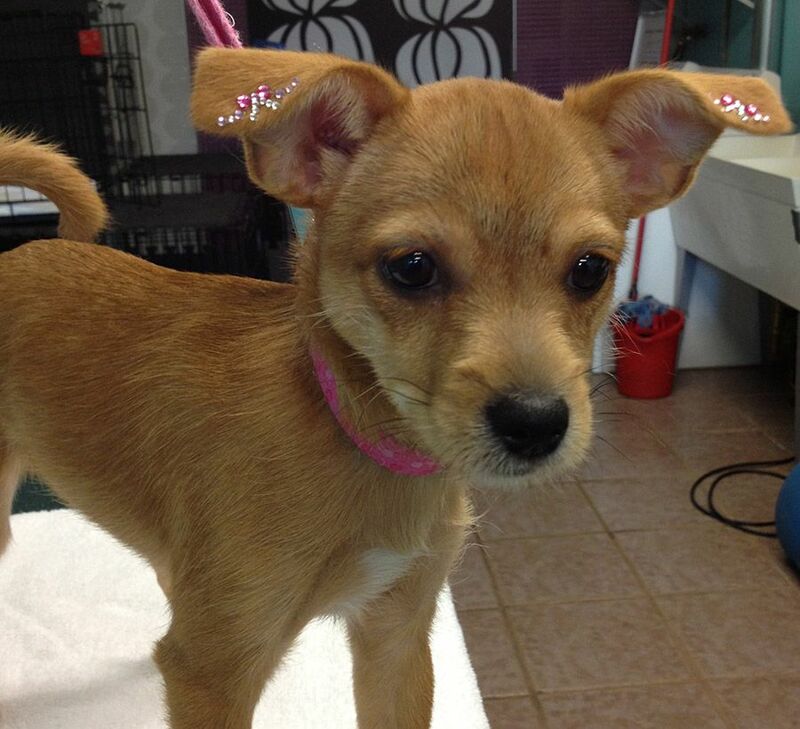 They wash off easily with a damp washcloth and are only available for short-haired dogs. We have a wide variety of designs available. 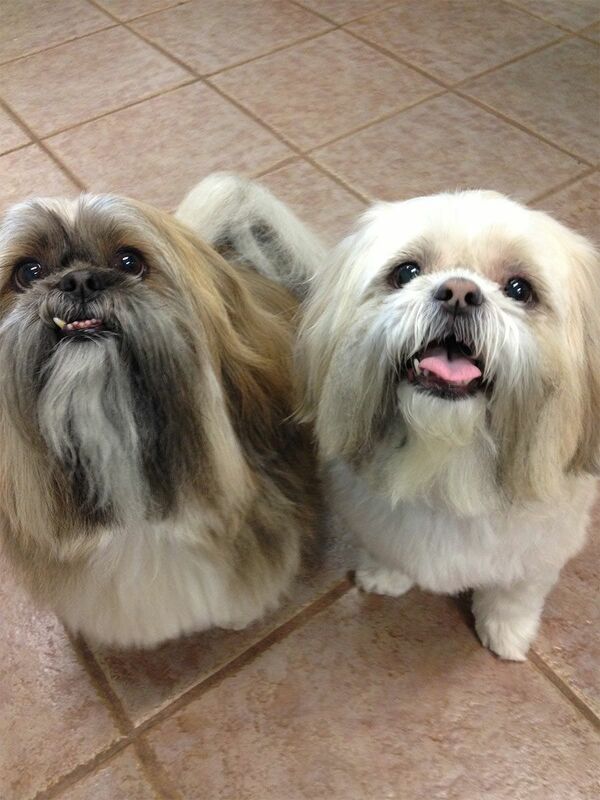 Please note: De-matting may involve both brushing out matted fur and tangles, as well as shaving them out. Both methods are time-consuming and are always slowly done with extra care and caution. The above prices are an approximate range. Grooming prices vary depending upon the length and condition of your pet’s coat, as well as the type of hairstyle you would like. 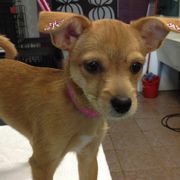 Once we have a consultation with you and your pet, we will be able to give you a more accurate quote. Prices do not include the HST.